On the strength of some recommendations from people I trust both online and in meatspace I purchased the MD-07 micro dot red dot rifle sight from Primary Arms. I have one on an AK, one on each of our Tavors, and a spare — because I’m a preparedness dork and I like having backups to stuff. Turns out that I not only needed my spare, but I needed a spare for my spare. Two of the sights have major problems. Both sights refuse to hold zero under minimal stress. Like shouldering the rifle stress. 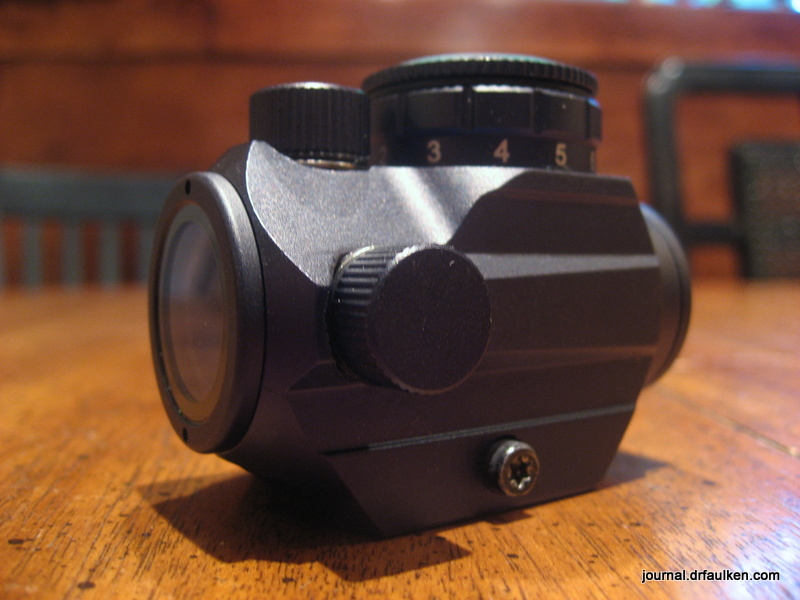 Shaking the rifle with the optic mounted causes the dot to bounce around and completely lose zero. On at least one of the sights, touching a metal screwdriver to the metal adjustment screws causes the dot to jump erratically. I attempted to put the dot over the front post of a Tavor using trial and error — touch screw, watch the sight bounce, guess at adjustment, remove screwdriver, adjust again, etc. All of my guessing was for naught when I shook the rifle like a baby in the hands of a British nanny. Lost zero again. I’ve contacted Primary Arms, and hopefully they will replace both sights. If not, we’re going to find out how resistant they are to small arms fire.